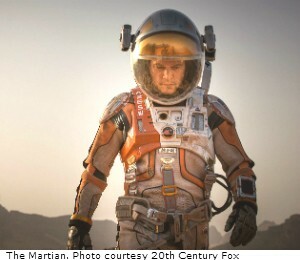 In The Martian, astronaut Mark Watney is accidentally abandoned on the surface of the planet Mars. Through his own ingenuity he manages to stay alive on the inhospitable planet, but his only chance to make it home depends on the sophisticated collaboration between the crew still on the shuttle and his colleagues back on Earth. As the film elegantly illustrates, some of the biggest challenges for a mission to Mars aren’t technological, they’re psychological. Just imagine being trapped in a confined space with your coworkers 24 hours a day for over a year without seeing your friends or family. While disagreements in the office can hurt business, bickering in space can easily lead to fatal mistakes. NASA is looking to psychological scientists to help keep teams in space functioning smoothly, regardless of the circumstances. In a recent article in Current Direction in Psychological Science, a team of researchers led by Eduardo Salas of Rice University summarized findings from the emerging field of teamwork in space. And insights from this research aren’t limited to space – they can also be applied to teams right here on Earth. One effective strategy for keeping teams on track – whether in space or in the office – is “debriefing,” or discussing ways to improve as a group after a task is completed. From astronauts to accountants, a recent meta-analysis suggests that a 15-minute debrief can lead to robust improvements in performance. Psychological scientists Scott Tannenbaum and Christopher Cerasoli of the Group for Organizational Effectiveness conducted a meta-analysis of 31 studies on debriefs comprising a total of 2,136 participants. Their results indicate that on average, debriefs improved effectiveness over a control group by around 25%. Multiple information sources – Includes input from multiple team members or from a focal participant and at least one external source, such as an observer or objective data source. “By pairing active learning with multiple information sources to improve situational understanding and by identifying lessons learned and establishing specific future plans and goals, debriefs are designed to give individuals and teams a systematic, credible method for improving their performance,” they write in the journal Human Factors. Overall, the researchers found that teams that used debriefs were consistently more effective than teams that did not, showing an average performance improvement of 20% to 25%. Debriefs tended to be more effective when they were structured, and when an outside facilitator lead them. Though the results were robust, the researchers urge caution before making any causal inferences. These kinds of debrief techniques are already being incorporated into plans for a future trip to Mars. Communications between Earth and Mars will have a lag of at least 20 minutes each way, so psychological scientists are working with NASA to develop automated debrief protocols that don’t rely on outside facilitators. One tool is already being tested with teams living and working together in isolated confined environments that simulate life in space. A Mars Mission funded by the United States what a great idea. They should start funding this ASAP. Anyway, my husband owns a candle business and we were talking about a mission to Mars. I told him there are no candles in space and he stated he would be out of a job.